With the beginning of summer right around the corner and vacation season quickly approaching, many residents across Washington and Oregon are gearing up for a long road trip with family or friends. And while some travelers prefer to stop at a highway rest area when they need a break, the latest poll from PEMCO Insurance found that a majority of drivers who travel long distances would prefer to stop at retail locations instead. The PEMCO Northwest Poll found that while one-third of respondents (33 percent) said they prefer to stop at a rest area when they're on the road, a majority (61 percent) said they'd rather take a break at restaurants, gas stations or coffee shops. The poll also found that 10 percent of those who travel long distances by car said they never stop at rest areas. 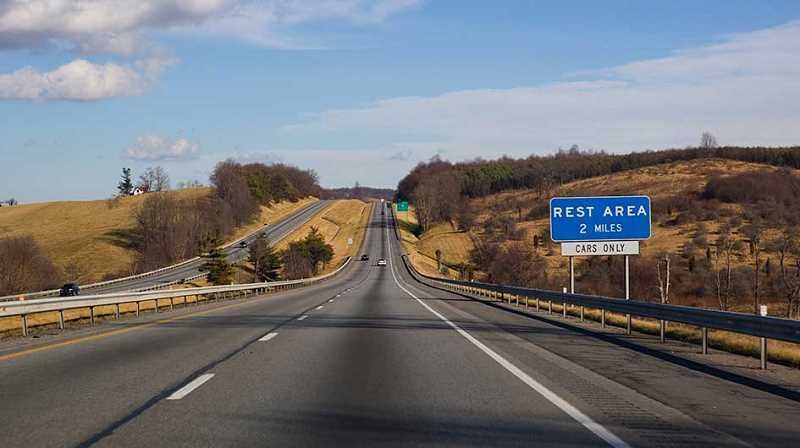 Of those who always skip rest stops, nearly half (48 percent) said they prefer stopping somewhere they can get a snack or a drink, and more than two-thirds worry about the safety or cleanliness of state-run public rest areas (69 percent). "Many of us have probably pulled over at a rest stop during a long road trip, either to use the restroom or stretch out our legs," said PEMCO spokesperson Derek Wing. "And while these areas may still be good for a quick pit stop – especially when going through sparsely populated areas – today's travelers have a lot of options when they're on the road and can be a bit more selective about where they want to take a break." Even if it's not their first choice, about nine out of ten drivers (89 percent) said they still visit rest areas at least occasionally. Among the top reasons for stopping were because of the convenience of restroom facilities (79 percent) or their accessible locations (52 percent). The results also show that in both Washington and Oregon, older folks are more likely than their younger counterparts to stop at a rest area, as about 44 percent of those 55 years of age or older prefer pulling over at a rest stop, compared to just 28 percent of respondents under 55. And despite rising gas prices and ongoing traffic woes, the total number of people who plan to go on a road trip appears to be on the rise. A recent study by AAA found that more than a third of Americans planned on taking a vacation in 2017, and of those, about 80 percent planned to go on a road trip – up about 10 percent from the year before. "Road trips can be a fun, affordable and flexible way to travel, and depending on your destination, you can enjoy some time away from home over just a few days," Wing said. "And even though some people may prefer to stop at a roadside store or restaurant for the extra amenities or the sense of security, it sounds like rest areas still provide value for travelers who need a quick break." For a complete summary of PEMCO's poll results, visit pemco.com/poll, where you'll find the responses collected by FBK Research of Seattle in January 2018.